Air conditioning in all vehicles is now considered essential for health & safety. Premier Automotive is a licensed automotive air conditioning specialist with years of experience. The workshop is a member of the peak network for mobile air conditioning and electrical, the Automotive Air Conditioning, Electrical and Cooling Technicians of Australasia (VASA). Premier Automotive offers air conditioning servicing and repairs for all vehicle makes and models at highly competitive prices. We repair or supply and fit compressors, condensers, receiver driers and TX valves for all vehicle makes and models. Because of the global warming potential of the only refrigerant approved by all car makers, R134a, it has been an offence, since 2005, to accidentally or deliberately release refrigerant into the atmosphere. There are now strict requirements for the handling of air conditioning systems, and that includes licensing of all technicians handling refrigerant and they must be tested for their competency. In addition, the workshop must be authorised to sell refrigerant and must commit to safe management of their equipment and refrigerant cylinders. Premier Automotive has all necessary licenses and authorisation, backed by well qualified technicians who are also keeping abreast of the new wave of refrigerants expected across the Australian fleet in coming years, to meet the demands of world governments to reduce the risk of global warming. As a result, R134a will gradually be phased out, to be replaced by an approved refrigerant called HFO-1234yf. Car owners will need to consult only authorised workshops and qualified technicians to ensure that their air conditioning systems are well maintained well into the future. 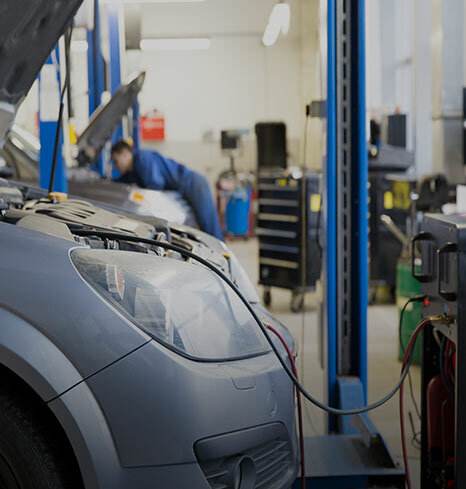 Premier Automotive can quickly and efficiently diagnose faulty or leaky air conditioning systems and will advise on the steps necessary to meet the obligations under the national environmental legislation. It is recommended that when any part of the air conditioning system is changed or serviced, the receiver-drier or accumulator should be replaced to prevent corrosion and moisture in the air conditioning system (moisture combines with the refrigerant to form hydrochloric acid which is extremely corrosive to metal components and can damage other parts of the system). Motorists can trust the technicians at Premier Automotive to check and maintain a vehicle’s air conditioning unit which will not only keep you cool in summer and warm in winter, but ensure your vehicle is playing its part in limiting unfriendly emissions into the atmosphere.